If you have children, then you have dreams for them. You want to see them growing up happy, healthy, self-reliant, and confident in themselves and their abilities. But if you're a typical parent, you've wondered if you'll be able to give them all this. There's good news: you can. 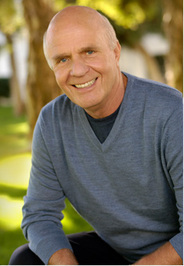 Wayne W. Dyer shares the wisdom and guidance that have already helped millions of readers take charge of their lives - showing how to make all your hopes for your children come true. the seven simple secrets for building your child's self-esteem every day. how to give very young children all the love they need - without spoiling them. how to encourage risk-taking - without fear of failure. action strategies for dealing with your own anger - and your child's. the right way (and the wrong way) to improve your child's behavior. the secrets of raising kids relatively free of illness. techniques that encourage children to enjoy life. It's all here - straightforward, commonsense advice that no parent can afford to do without. Item Added: What Do You Really Want For Your Children?